While rewatching BBC's Wild Weather recently - come on, you know I'm a nerd on many levels - I was reinformed of something that I felt was worth sharing. Perhaps it's because I never happened to watch the DVD in the winter, or it just never captured my attention in the way it did last night, but with winter setting in and the prospect of it being really quite cold in the UK this season, I wanted to make sure I got it out there. Do you know what the cold-death capital of Europe is? The place in Europe with the highest number of cold-related deaths? Moscow? Helsinki? You'd think so. But you'd be wrong. More people die from the cold in London than anywhere else in Europe - over 3,000 every winter, and 20,000 across the whole of the UK. I put this down to the fact that England is very dreary in the winter - we rarely get snow, just rain and cold winds. And that's a problem. Because we don't go out unprepared if it's raining in the winter, do we? Or when it's clearly windy. But when there's no rain, no snow and no high wind - in short, no visible weather - and you're in a mild country like England, you think you're probably fine. So you may well leave your hat, scarf and gloves at home, step out the front door and think, in true English fashion, "ooh it's a bit nippy" and then continue along your way without bothering to head back inside to get your woolies. Because it's England. What could the weather possibly do to us? The blood vessels near the surface of your skin narrow when you get cold to try to conserve heat and direct blood flow where it's truly needed - the heart and the lungs - and the blood becomes thicker. This happens even in generally low temperatures such as those in the autumn when you're feeling a little chilly, get goose bumps and even start to shiver, which is also your body's attempt to create warmth. The greater the degree of cold you're exposed to, the greater the reaction - the tighter the blood vessels constrict, the more you shiver. The thing is that this can also cause a sudden and painful death. I don't mean to fear-monger, but if you're unwell or have an un-noticed blood or heart problem, this could be you. Head out on a cold winter morning on your way to work, no hat, gloves or scarf - but it's not snowing, raining, there's little more than a gentle breeze, and you'll be in the office before you know it. But you're cold - you can feel that cold - and the blood vessels nearest to the exposed surfaces of your skin - hands, face, neck - are already narrowing. 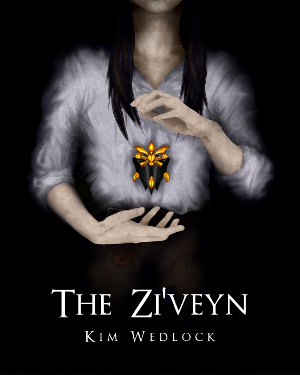 You start to shiver, nothing unusual there, and your blood thickens and starts to focus around your vital organs to conserve heat and energy, relying on the shivering to warm you up until you cover yourself a little more. But you don't cover up because you left your hat, gloves and scarf at home, and you're still waiting for the bus or the train. Maybe it's late, maybe it's been cancelled - you're stuck in the cold. This isn't necessarily a problem, but your blood gets thicker and stickier - again, still very normal - but this makes it easier for a clot to form. And that's when you have a problem because this clot will start to move towards your heart. You won't notice it, you won't think about it, you'll just go about your day, even when you get to work and start to warm up. But if that clot reaches your heart, you're likely to suffer a heart attack later that day. And your cause of death will be 'natural causes'. I realise how all this sounds, I hate it when bloggers and journalists talk about things like this and make you start getting paranoid over a slight shiver, so it's important to realise that it will take a lot more than a brief shiver-inducing cold to cause this. You'd have to be in it for a little while - such as waiting for a late bus or train - and then it's also down to chance whether or not your blood will clot, but at the same time, for London to be the European cold-death capital because we're so used to mild weather that we don't think about hats, gloves and scarves...well, it's a real possibility. Hat. Gloves. Scarf. Keep warm. 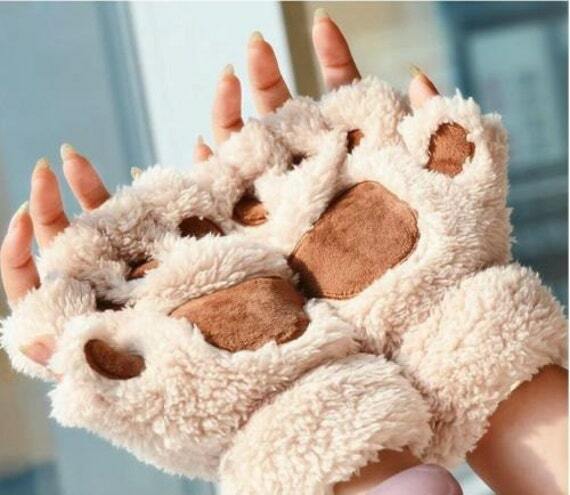 Stow them in your bag, you don't have to wear them constantly, but if you start to feel chilly you'll have them on and, and not only will you be safer, you'll be generaly cosier, too. I'm bringing this up because, as I said, this winter is supposed to be quite cold in the UK, but whether we know that or not, we're still not likely to take it very seriously. In other countries that do experience ice storms and blizzards people know to wrap up warmly against the cold even when they can't see it. Cold hazards are a real thing in these places and they're prepared for the possibilities, but in England we just don't get these ice storms or blizzards very often so, unless we actually see it happening before us, we're not going to think about it. Be sure you have your hat to keep your head toasty and keep your brain from turning to ice! 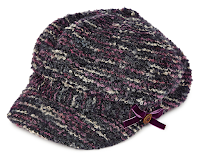 I've never liked winter hats but I've come across a few lately that I love, and my favourite of those is this hat by Oliver Bonas, inspired by the tiny knitted hats found on a few Innocent smoothies. 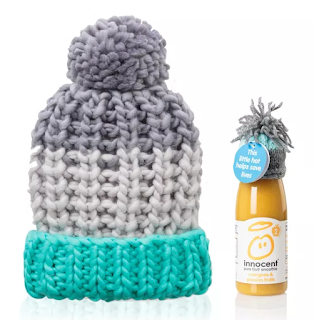 Not only is the concept adorable, but the full-sized hat is to die for and £5 of every £18 hat sold goes to Age UK to help the elderly keep warm this winter. Could it get better?! 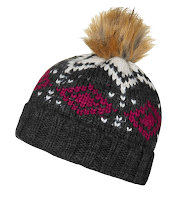 Second to this hat comes the baker boy in purple from Marks and Spencer (£14), and third is the fairisle beanie from Topshop (£15). 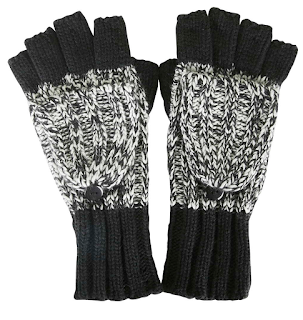 Call me boring, but these convertible mittens by Topshop are the best I've come across. I hate having to take my gloves off to deal with the post office or corner shop, and I know that's a first world problem but it's just something that has always irritated me. You never notice how often you use your hands until you have to keep taking gloves off, and while fingerless gloves seem to be the answer to the problem, I've always felt my fingers would get cold. Hello solution! Fingerless gloves with a mitten cap! 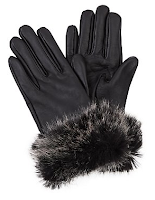 Second to these comes these incredible cat paw plush gloves on Etsy (£15) and these far more sophisticated leather and faux fur gloves by New Look (£15). 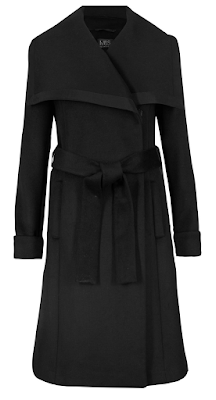 It's steeply priced at £150, but it is cashmere, and who wouldn't if they could? Scarves are an accessory I find myself in surprising abundance of, perhaps because they're easy to wear with and without a coat, and because anything works with a black coat anyway! So this colour block cashmere scarf by Marks and Spencer is one I'm dribbling over a little bit right now! 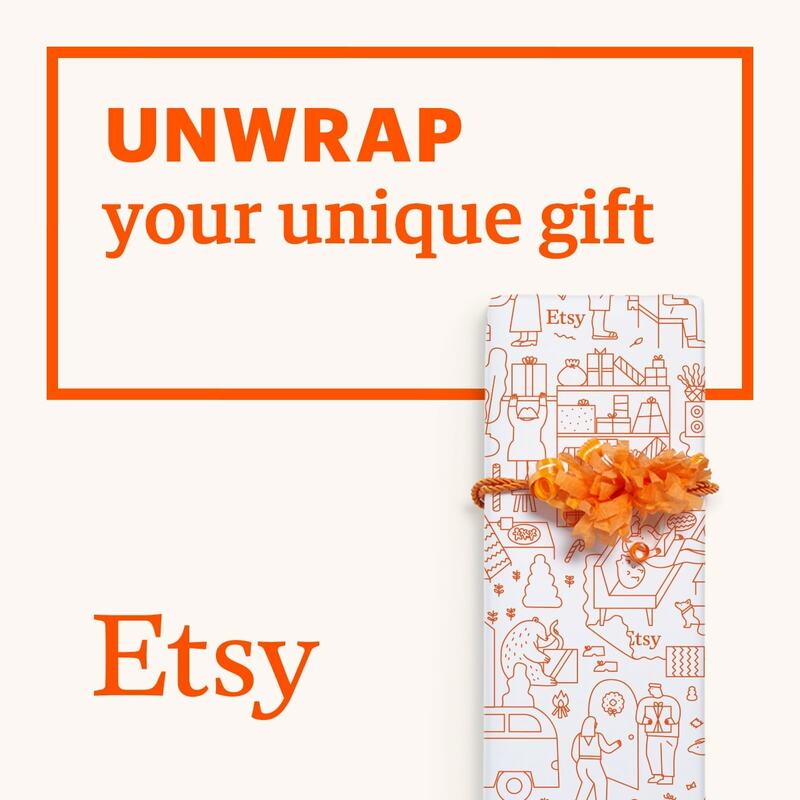 But, fortunately, there are cheaper alternatives that are...almost as nice. 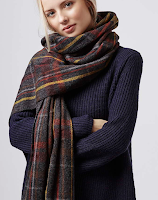 This oversized scarf by New Look (£15) looks immensely cosy, and that's what most people look for in a scarf. 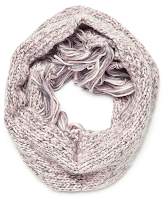 Alternatively a snood is always nice, like this one from Marks and Spencer (£20) again. 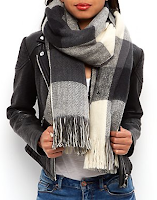 Then for an even simpler look there is the grey yarn scarf by Dorothy Perkins (£14) and this immensely long grid scarf by Topshop (£22). 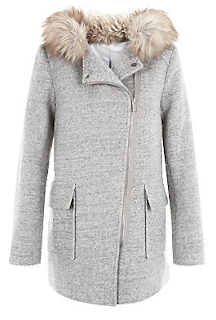 Again it's the highest price tag that catches my eye, but at £110 I'd imagine that this woolen oversized collar coat by Marks and Spencer would surely be so warm and cosy that it would be worth the extra pennies, though I have seen similar designs in many other stores. However, there's nothing at all wrong with my own coat and I don't intend to replace it any time soon, but there's no harm in looking, right? 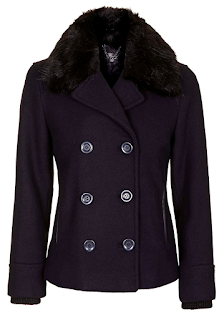 For more normal people's pockets there is also an equally warm-looking biker-zip duffle coat by New Look (£50) and this faux-fur collared pea coat by Topshop (£79) which is also really rather nice.